Last weekend, Hollywood's failure to release more than a token slate for about three weeks paid off with a dividend of the worst box office figures in over a decade. The good news: that weekend might not look so bad in very short order. 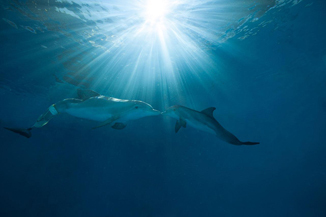 Probably leading the way is Dolphin Tale 2, a sequel to the 2011 film about a rescued dolphin that is fitted with a prosthetic tail, enabling him to survive in a Florida aquarium. This gentle, but rather drama-free film was a modest success at the time, opening to around $19 million and finishing with $77 million. That's a rather significant feat for an animal film with Harry Connick Jr., Ashley Judd and Morgan Freeman as headliners. Thanks to a huge profit margin, we get the sequel, which returns to the aquarium and Winter the dolphin, who has recently lost his foster mother. Realizing that this is kind of a thin story to base a movie around, it also casts about to the other animals in the aquarium to add to the plot, becoming something of an anthology film, with pelicans and sea turtles also muscling their way into the action. To say that this is a gentle film is slightly underselling it, and it's aimed at a particularly young audience. There's nothing really wrong with that, and certainly that's an audience worth serving. It's just not a very large one.